Alison Bowman handles all project management activities and external relations for the Wisconsin HOPE Lab, the nation’s first laboratory for translational research aimed at improving equitable outcomes in postsecondary education. Prior to this she served as the project manager for the Wisconsin Scholars Longitudinal Study, an interdisciplinary study of the impact of financial aid on college persistence and graduation. Alison has been employed with WCER since 2009 and recently earned a UW-Madison Academic Staff Excellence Award. Alison holds a Master of Public Affairs degree from the La Follette School at the University of Wisconsin-Madison where she studied public policy, administration, and tribal affairs. 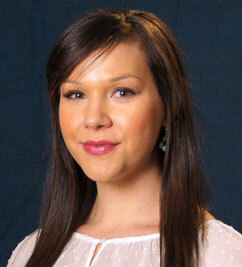 She is also the advisor for Wunk Sheek, the UW American Indian Student Organization.